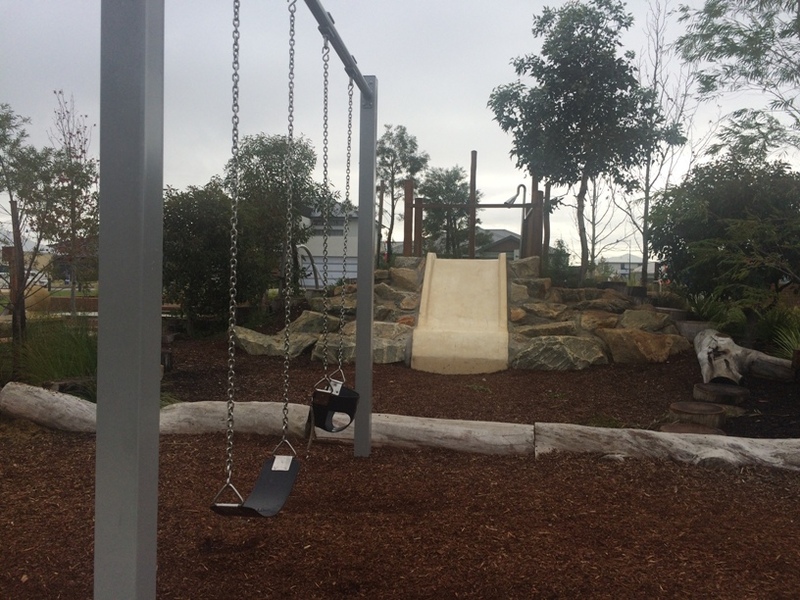 The Holland Park Estate Playground in Piara Waters is a lovely little nature based playground and is a great spot to enjoy a morning or afternoon play with family or friends. 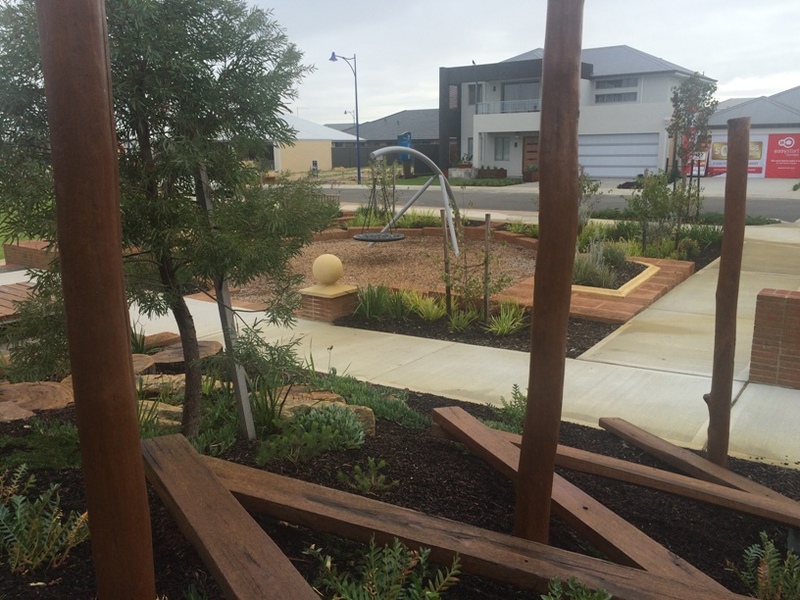 This playground is located in a quiet part of this new estate in Piara Waters. 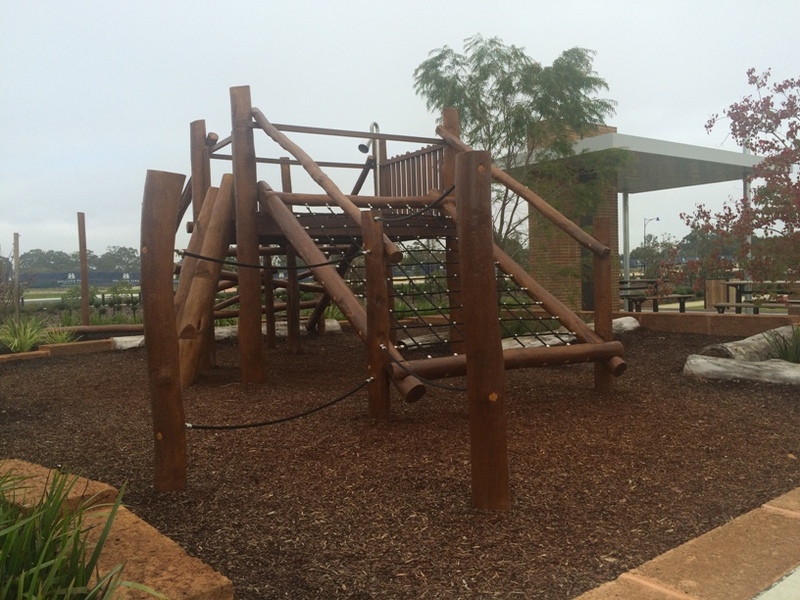 It features a wooden and rope play structure and has logs and rocks scattered throughout the playground to balance on for some good old fashioned nature based play. 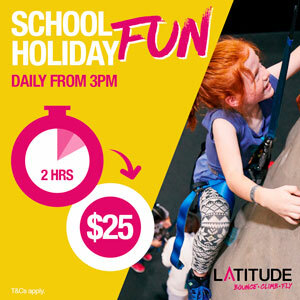 Kids can enjoy a traditional play on the swings and enjoy climbing up the rocks and the logs to get to the top of the slide too.. 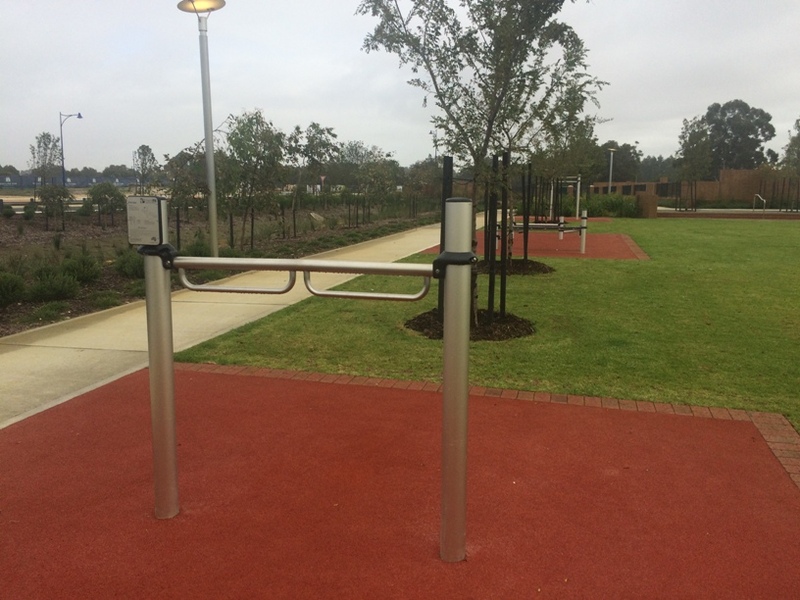 The playground is suited to younger children, but there is plenty of room for the big kids to run around on the grassed area alongside the playground where there are exercise stations as well. 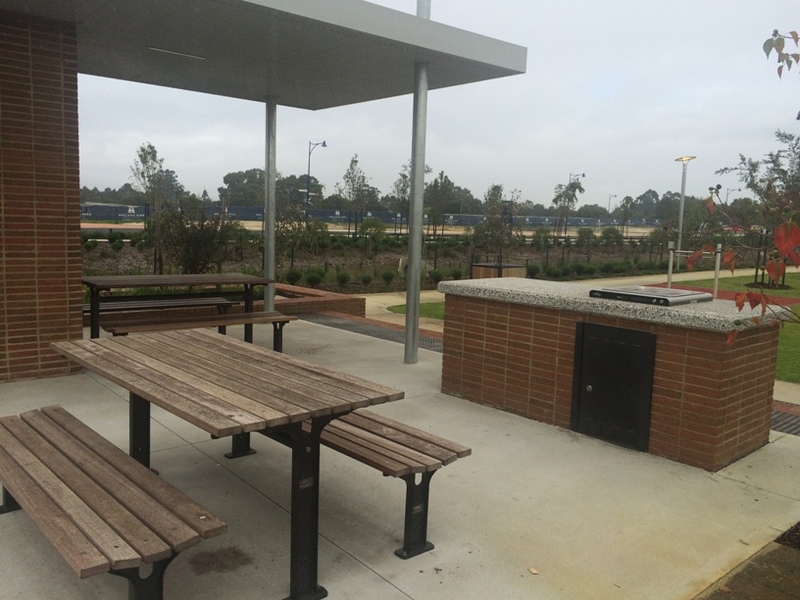 If you'd like to stay a while there is a bbq and picnic tables, unfortunatey there are no toilets however. 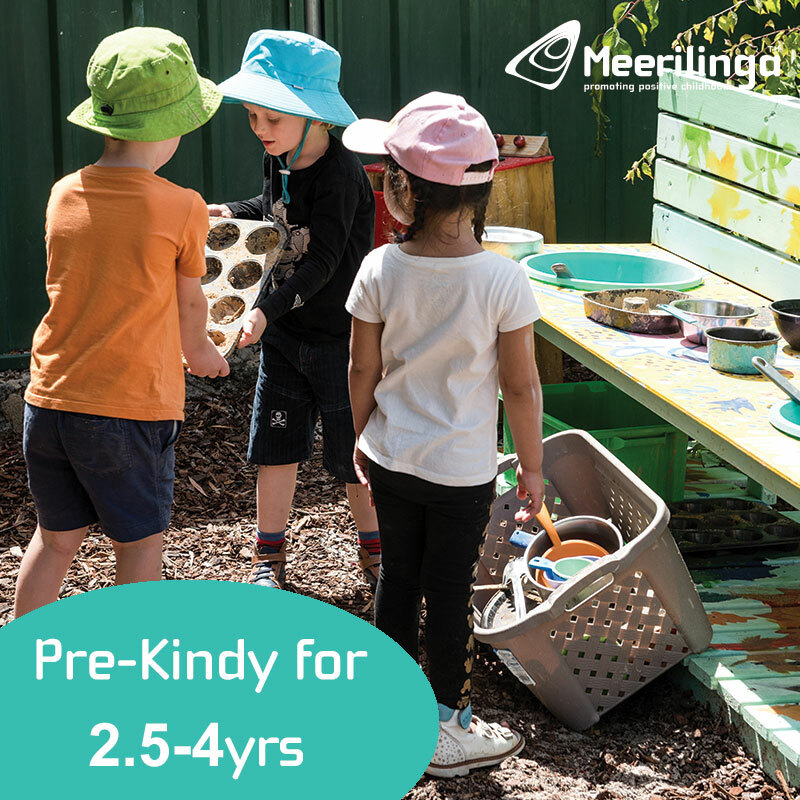 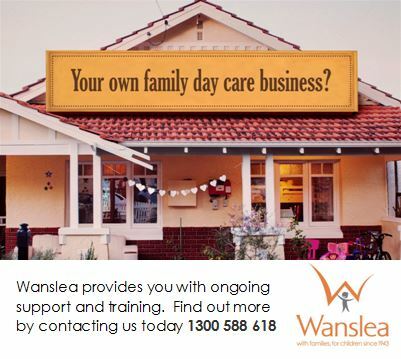 If you are organised bring along a ping pong ball and table tennis bats, there is a ping pong table just across the road from the playground. 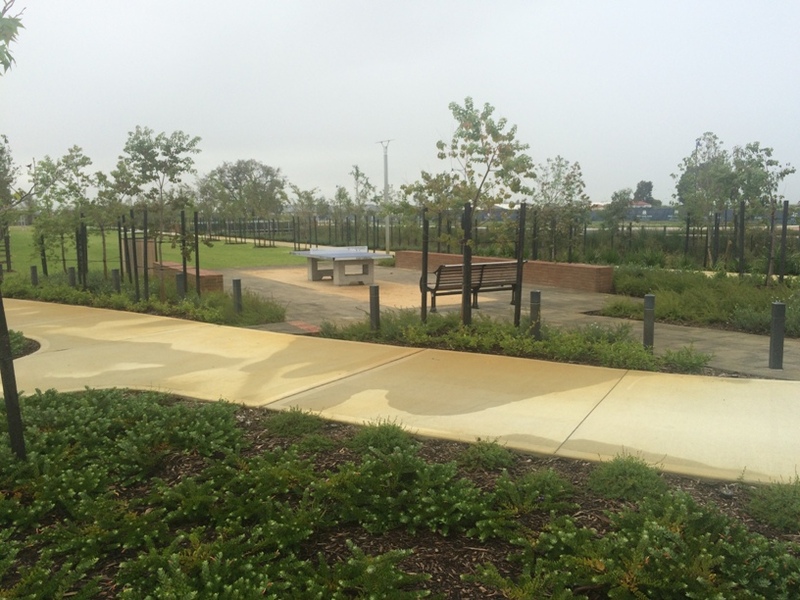 Holland Park Estate Playground is another fantastic addition to Piara Waters growing list of fantastic playgrounds. 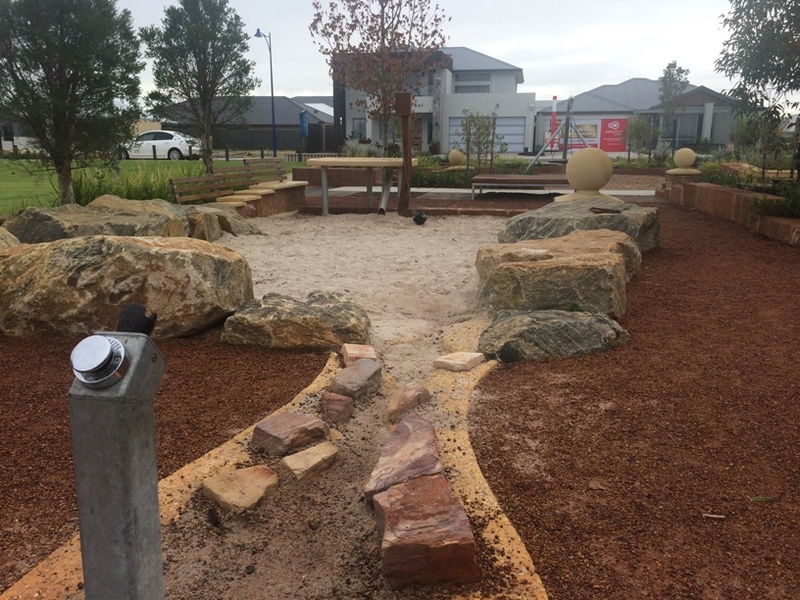 If you are looking for a nature based play or somewhere to meet with friends or family then check it out.